The Holy Family meeting: Sunday, October 18, after the Holy Liturgy. The topic is "Teenage Concerns". The guest speaker is Mr Gamal Ayoub. Happy Thanksgiving!The church will be celebrating the Thanksgiving on Saturday October 10 @ 5:30 pm. 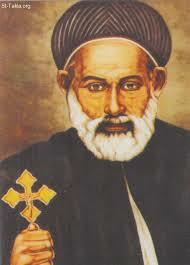 HG Bishop Anba Tadrous will bless our celebration, HG will lead the vesper prayer and bless the dinner. Everyone is invited, our Joy wouldn't be complete without you. HG Bishop Anba Marcos will bless us also on the Sunday morning Liturgy @ 9:00 am on Sunday.Happy Thanksgiving to everyone. Sunday, June 7, 2015, at 6 pm at the Macedonean Church.